Want to learn from a pioneer in the therapy field and internationally acclaimed author? Im wildly excited to interview therapy pioneer and international legend Bill OHanlon as part of the International Association of Therapists in Private Practice (IATPP) Monthly Membership call next week. If you are not yet a member I strongly urge you to sign-up today. Bill is going to share a gem on the call that can easily pay you back the full payment of your membership (plus even more)! Wahoo! When I heard it I had a moment where I gasped and realized how I could help more people and add more income to my practice with VERY little effort. I do hope youll join us for this golden nugget of information that will help you reach more people and easily add income to your practice. Our next International Association of Therapists in Private Practice (IATPP) Practice Building call is Tuesday, May 24th. Topic: “Freeing your work in time and space: How to create passive income and work from anywhere doing work you are passionate about”, an interview with guest expert Bill O’Hanlon. 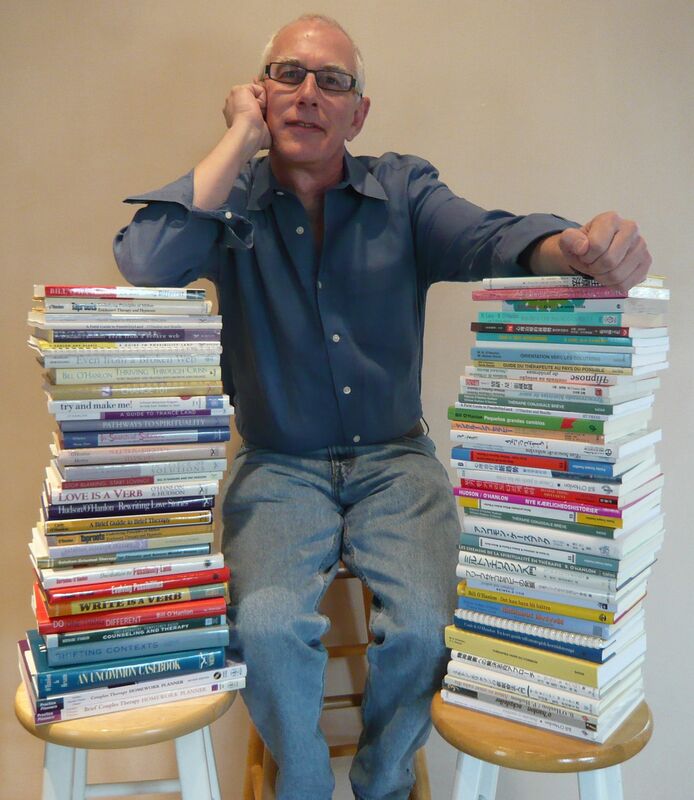 Esteemed clinician, author, pioneer of solution orientated therapy, Bill has written over 31 books, has been a featured guest on Oprah, has given over 2500 talks in the North America, Europe, Asia, Australia and New Zealand since 1978. Bill will detail the system that he has used to generate more than half his income from location-free and activity-free sources while making a broader impact, thus freeing his time and energy to spend quality time with himself and his family, as well as create even more cool stuff for his clients and customers. He will detail the five major ways to free your work in time and space while expanding your impact to a broader audience. Life in the passing lane: If you’re so smart, why don’t you have enough time? This call is F-R-E-E if you are an IATPP Association Member. MP3 recording and transcript are also included. This exciting, professional association is surprisingly affordable and includes monthly training calls, checklists, forms, templates, an active and amazing community and more…all for just a few pennies per day. Click here now for all of the exciting details. I’m looking forward to sharing this exclusive interview with you! How do you demystify the therapy process for clients? It seems that everyone wants to know what goes on inside the therapists office. People secretly wonder if a session resembles a chapter from Sybil, untamed and insane. Movies, television and reality series often try to depict the scene, with an awkward resemblance of accuracy, but somehow always missing the mark. Dr. Phil and Dr. Drew attract a huge audience; even I am drawn to the drama as they delve into families lives inside the screen in my living room, rushing through treatment with five commercial interruptions. People nervously crack a joke if I am introduced at a party as a therapist, quick to point to their friend standing next to them stating, This guy really needs your help. Men in white coats, Prozac moments, loony tunes; all flip verbiage said with an uncertain tone by people who secretly wonder if they too are a little crazy. Like I am a clairvoyant that can see right through them . . . analyze this. And although I am one of the silliest girls around, I never can quite bring myself to laugh. I guess one doesnt laugh at their passions. I have been in therapy for over thirty years now. I do this for a living, everyday, hour after hour. To me, it is serious business. Taking a stranger in, staying right there with them, as they take the first incredible step to put their crumbling life back together. Its hard to describe what happens on the proverbial couch, every person so different, some situations tragic, others not so much. People do not come to therapy when things are going well. Usually, the person feels as if its pretty much the end of their world. Hopeless, helpless, in unbearable pain, a bottomless pit . . . the term depressed falls short of an adequate description. Discovery of a spouses infidelity, a childs drug addiction, cancer, a friends betrayal, alcohol or drug abuse, loss of a job, financial worries, death, and a hundred other scenarios, lead them to me. None of the stories or the feelings are ever quite the same. And the answer is, yes, they invariably do. Not with all the kings horses and all the kings men, but by the will to survive and an inner strength that therapy helped them access. When the bleakness lifts, its as if they bring in a little more light each time they walk into my office and sit on that couch. I slowly begin to see a twinkle in their eye, a glow, a spark, although fragile and tenuous, emerging. This, for me, is the magic of therapy. It saves peoples lives. All of the conversations that we have had, most with no immediate results, begin to add up and overtake the faulty oppressive thoughts that first brought them into my office. They begin to make sense, notice other people, and look forward again. They can now laugh at situations as well as themselves. Truthfully, life can be ridiculously funny. They no longer think about dying, because they have too much living to do. Their need for time with me begins to dwindle and they are able to connect with me now only every other week, every month, and finally, Ill call you if I need you. Said hesitantly at first, most are somewhat sad to say goodbye. Occasionally, sometimes years later, I do run into someone at the store or on the street. The most common reaction is a big hug, smile and a great to see you. I can barely remember the shadow of that soul that I first encountered in my office. But it is the same person. Just whole again. It is amazing. Welcome to the online forum for the Beyond Managed Care event. Please feel free to share your insights and learning from the Beyond Managed Care Tele-Forum Event Dec 6-10th. If you have questions for our speakers please share them, and we may use these questions during the LIVE calls. I know as a helper and healer it is in your heart to be of service and help people, it’s innately what you love to do ( me too)! Here’s the thing, many therapist struggle with helping more people AND creating consistent income. They believe it’s either one way-serving clients, or the other way- making money. Well, I’m so excited to share with you a F*R*E*E (everyone loves F*ree!) paradigm-shifting event that will help you discover how you can have both- a thriving practice with consistent income while helping many, many more people. I am bringing together a panel of experts to talk about working WITH AND BEYOND insurance- and I know this will be of immense value to all the LCATs out there who are looking for ways to increase their income and help more clients. Regardless if you accept insurance or not, you will leave this event with practical information you can apply to your practice to see immediate results. I’d love for you to join me in this truly transformational event December 6-10! Thanks so much for being a part of this paradigm-sifting event! I’m truly honored you are here. Please add you comments and questions below and I look forward to connecting with you at the tele-forum! Until we connect again, let your brilliant light shine! P.S. Please free to pass this information on to friends and colleagues, we’d love to have them join us and they are welcome to attend this complimentary event! Are you a therapist, holistic practitioner or health and wellness coach who is ready to leap forward in your business to be of service to more clients, while creating a thriving fee-for-service practice you LOVE working in? 6 steps to creating a lucrative business that honors you, as well as your clients, PLUS I’ll hand you the 6-figure Blueprint Secrets to creating a BUSINESS YOU LOVE. Whatever your plans are for Tuesday I urge you not to miss this call. If you know me, then you know I share lots of valuable information- so you are not going to want to miss all this remarkable content I’ll be sharing! Details about the exciting NEW “Create a Business I LOVE” Platinum Program you can be a part of and learn how to apply these strategies to your business to design YOUR 6-figure + business that supports you financially and spiritually. Don’t miss out on this exciting COMPLIMENTARY tele-seminar. Click below to get immediate access to the call information. I look forward to ‘seeing’ you on the call! If you are part of the Niche and Fill My Practice telecourse series you can have your questions answered on the LIVE Q&A call. Just write down your questions below and your questions may be selected and answered on the third call of the “Niche and Fill My Practice” series. 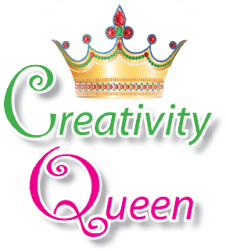 Need to get your creativity kick-started? Hop, Skip, Jump this way! Feeling awkward in your bathing suit?